Engineering Options Event Returns to NSCI – 19 Oct. This year’s event features guests from Washington University in St. Louis, Valparaiso University (Indiana), and Notre Dame (Indiana) and will be held in Ragsdale 338 from 5:15 – 7:00 pm on Wednesday, 19 October. 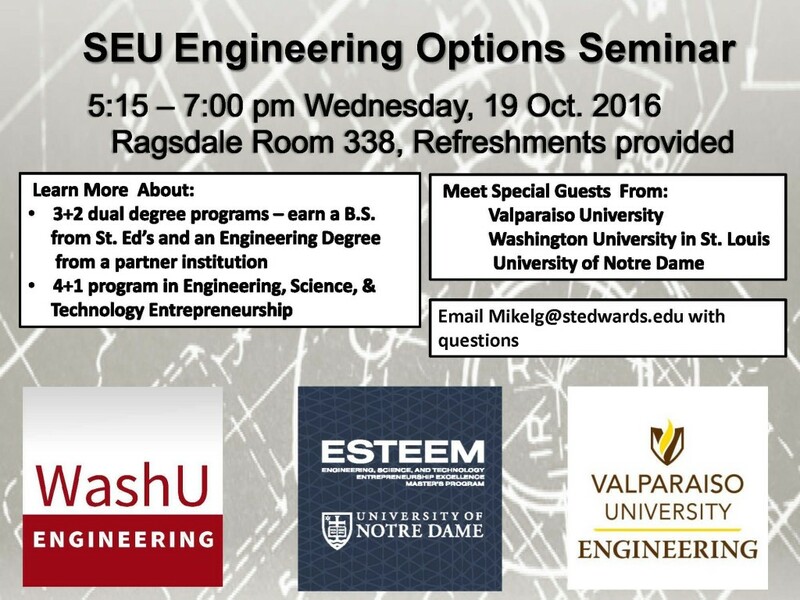 Learn about our dual 3+2 degree programs with Wash. U. and Valparaiso U., and the 4+1 Masters Degree program in Entrepreneurial Engineering with Notre Dame. For more information, contact Michael Lykaios.